Is a PDF Form able to be imported into Jotform and made fillable yet? I have several .pdf forms that I would like to make into web forms in my jotform account. Yes, you can import your Adobe FormsCentral Fillable PDFs into JotForm. You can do so from the following page, by selecting Import your forms > PDF Only. 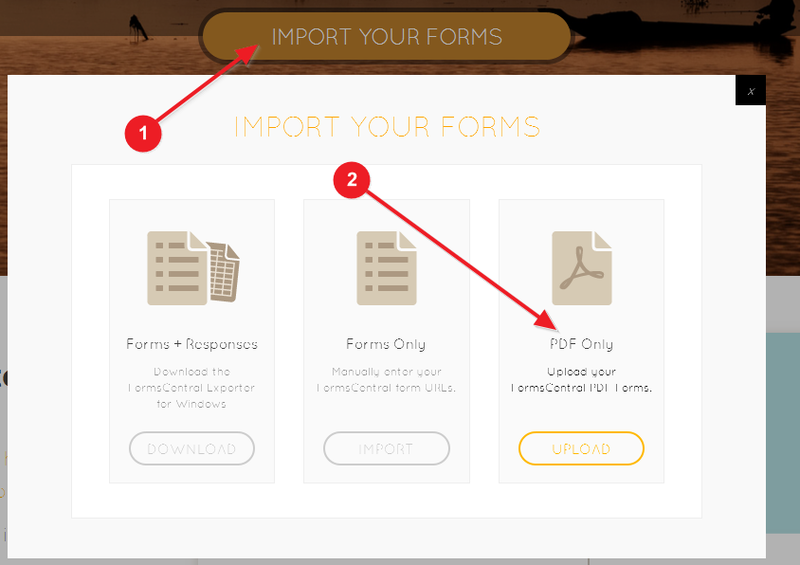 You can then download such PDF forms from your JotForm account and select the option for us to Auto Collect the data submitted through these forms, as depicted on the image below. Please note, however, that the imported fillable PDF forms are not editable as are our online forms built by our Form Builder or Form Designer tools. They are fillable, but you will not be able to add or remove fields as you can with the forms created by our tools. I hope this helps. Please let us know if you need any further clarifications or assistance, we will be happy to help.